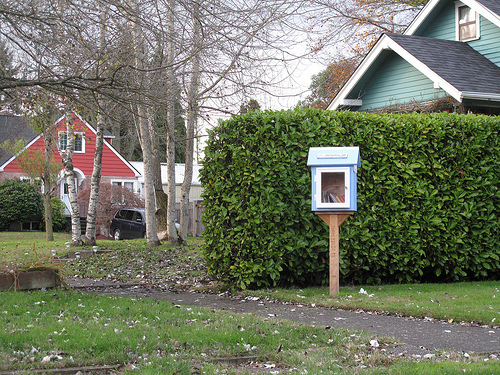 Tacoma has two little free libraries which are part of the Little Free Library Project. http://www.littlefreelibrary.org/. 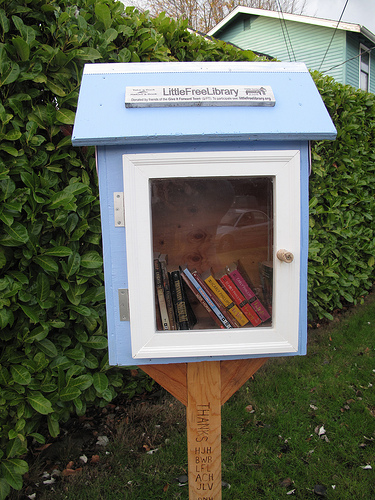 This entry was posted in Art -- there is art here!, Books (Libraries and Bookstores), Community Space, Little Free Library, Non Profits, Tacoma, WA State - Pierce County and tagged books, GPS, Little Free Library, neighborhood, nonprofit, reading on November 12, 2012 by admin.